Office superlatives are a great way to add laughter to this year's holiday office party. You remember superlatives from high school: most likely to succeed, most popular, friendliest... Don't worry, I didn't get one, either. But now is our chance! 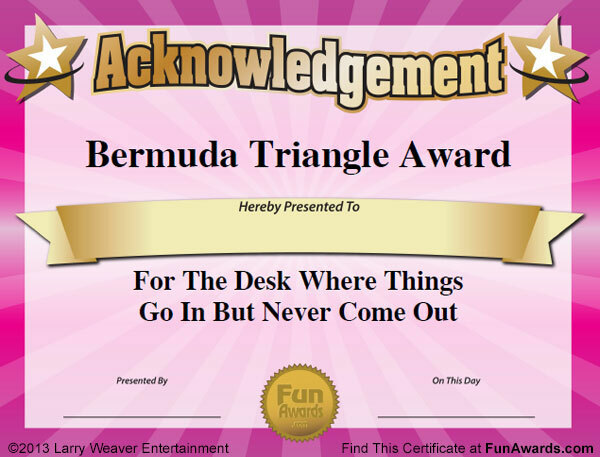 The workplace is full of potential superlative awards. 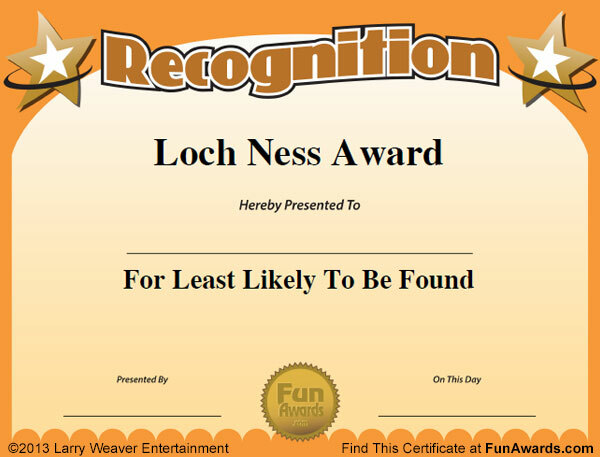 The Loch Ness Award for least likely to be found. 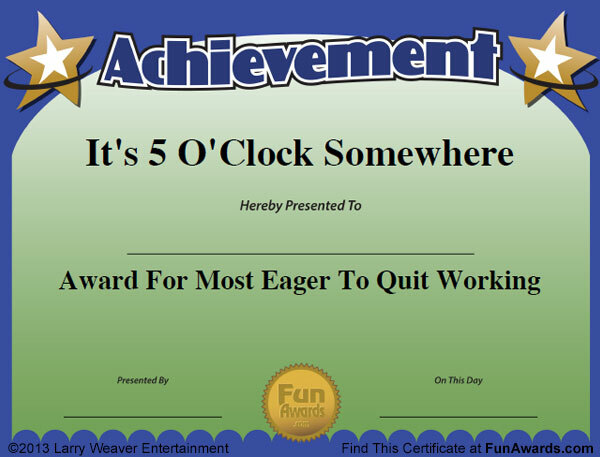 The hard part in creating office superlative awards is making them funny. After all, the idea is to create a few laughs, not awkward tension. That's why we've assembled a team of top comedians and office workers to do the work for you. The result: 101 Funny Employee Awards. 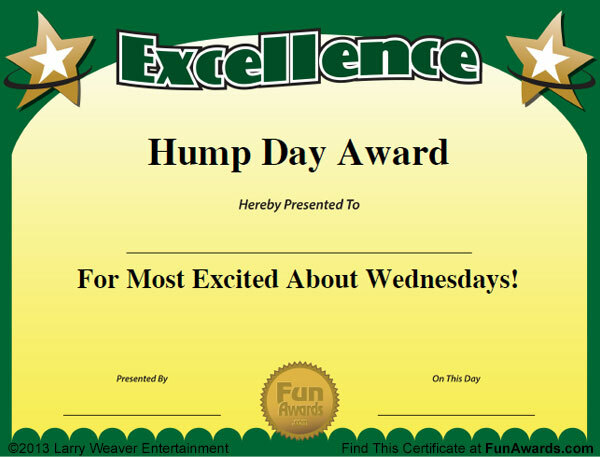 Download the certificates and start handing out office superlatives right away!